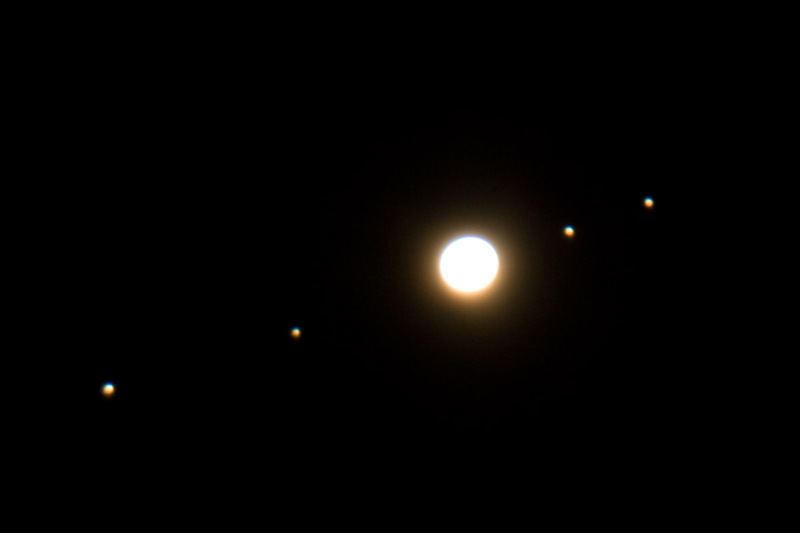 Above: The planet Jupiter, as seen through a small telescope. Courtesy of mikesastrophotos. Jupiter is often outshone in the media by its potentially life bearing moon Europa, and the ever violent and changeable Io, but JUNO is actually a mission to Jupiter itself: Jupiter is easily one of the most complex worlds we know of, and has plenty of unsolved mysteries - from simple ones like 'why is the Great Red Spot red', to what makes its storm belts fade away and re-appear, to what causes it's internal heat and how exactly it formed. Juno carries a suite of instruments designed to study deep layers of Jupiter not visible to the naked eye. Above:The Great Red Spot, a storm the size of Earth - what powers it, why it's red... Juno w try to answer these questions. Courtesy of NASA/JPL. The giant worlds internal structure, and whether or not it has a rocky core, carries information on how the solar system formed, like a huge 4.5 billion year old fossil. Jupiter's huge mass and fast rate of spin are expected to warp space-time in a specific way too, letting Juno use it to test general relativity. The probe will also get the first really good look at the giant planets poles, and hugely powerful aurora. The mission will last for one Earth year, and will take in 32 polar orbits of old Jove - a time limit not based on money, but on how, even with the radiation belts avoided and it's main computer shielded, the probe will slowly be eaten away by the radiation. Then Juno will be crashed into Jupiter's atmosphere, meeting its end as a flash of plasma. To leave it floating out there would pose a risk of contaminating one of Jupiter's moons with Earth life - a viking funeral for an armoured spacecraft. Measuring the abundance of water in Jupiter, which will help distinguish among prevailing theories linking the gas giant's formation to the Solar System. Measure Jupiter's core mass, which will also help distinguish among prevailing theories linking the gas giant's formation to the Solar System. Map Jupiter's gravitational field to assess the distribution of mass in Jupiter's interior. Precisely map Jupiter's magnetic field to assess the origin and structure of the field and help scientists understand the fundamental physics of dynamo theory. Map the variation in atmospheric composition, temperature, structure, cloud opacity and dynamics to pressures far greater than 100 bars at all latitudes. 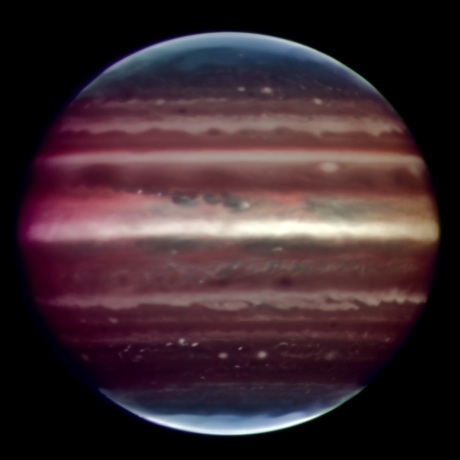 Explore the three-dimensional structure of Jupiter's polar magnetosphere and its auroras. 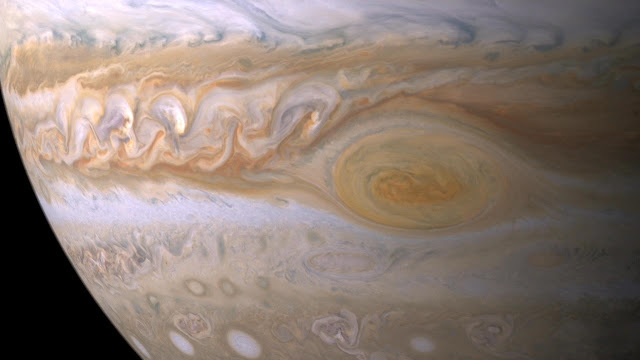 Measure the orbital frame-dragging, known also as Lense–Thirring precession caused by the angular momentum of Jupiter, and test general relativity effects connected with the Jovian rotation. 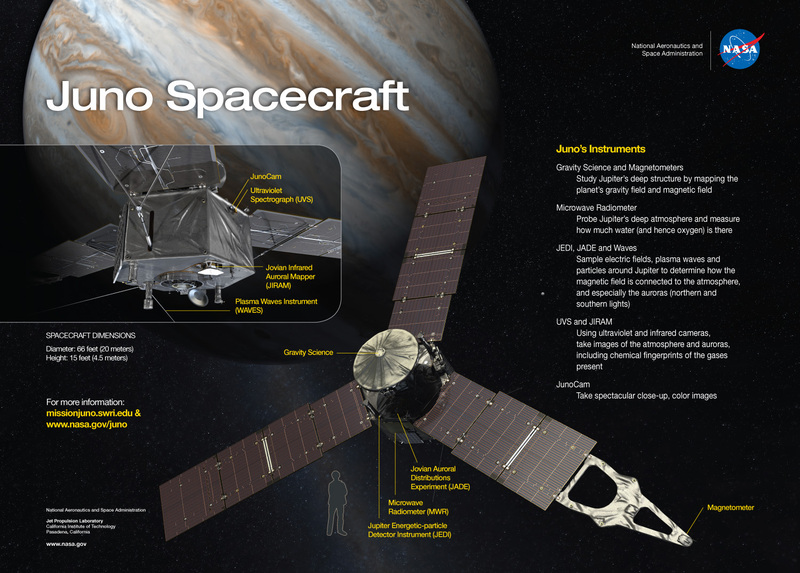 Above: Double click to see this full sized infographic of Juno, courtesy of NASA. Juno is built around a radiation hardened hexagonal core, which houses the craft's brain - even though the orbit has been chosen to avoid Jupiter's radiation belts there's still a lot of high energy particles in Jovian space. Surrounding the core are the sensors and three sets of solar panels - 50% more efficient and radiation resistant than old silicon based designs, which has allowed Juno to break the record for furthest solar powered spacecraft from the Sun. The fore face of the core has the main antenna, which also performs gravity science experiments. I think that covers the basics - so all that remains is to say: Good luck JUNO, and good luck to her ground control team!